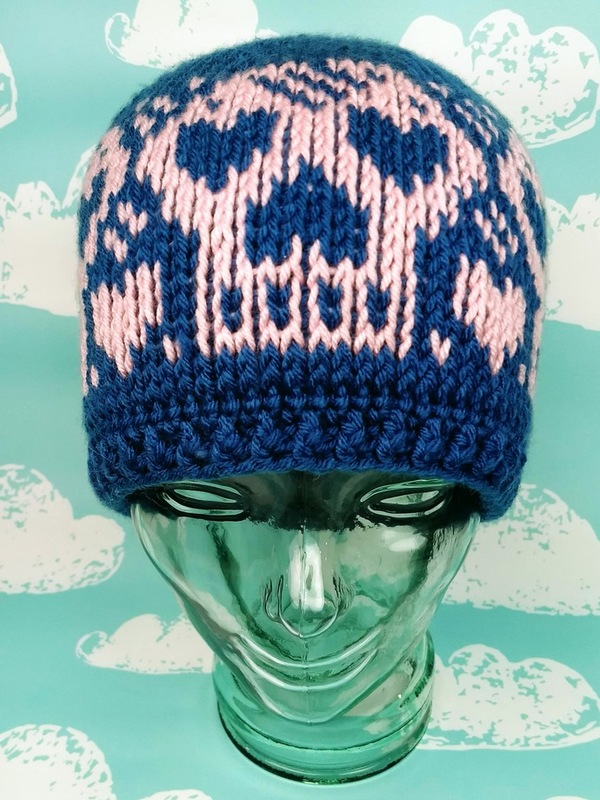 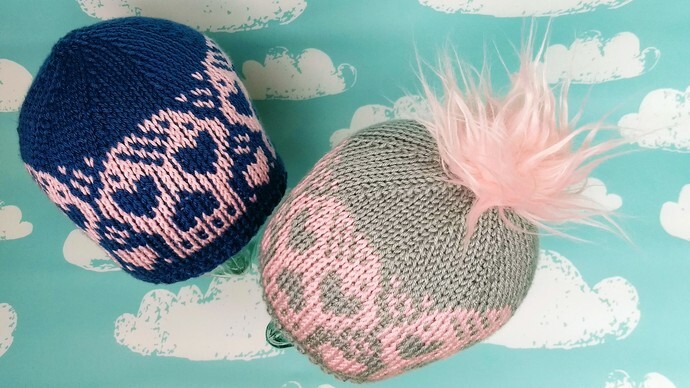 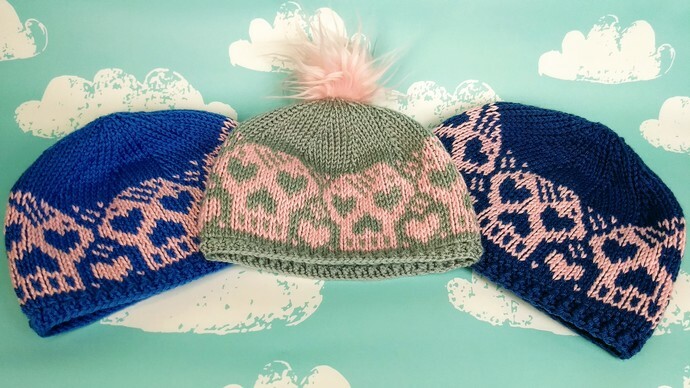 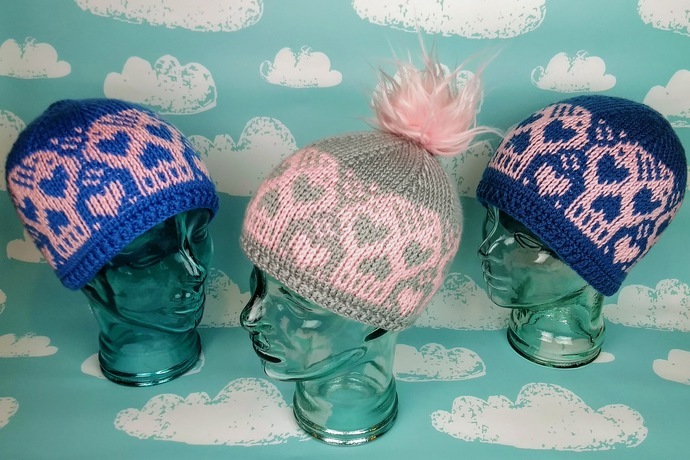 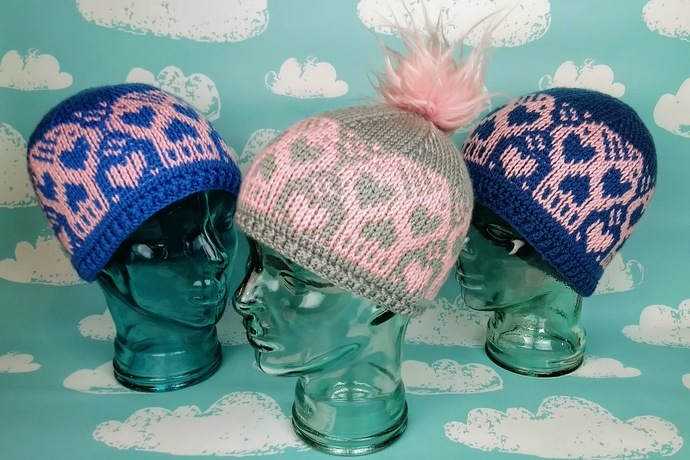 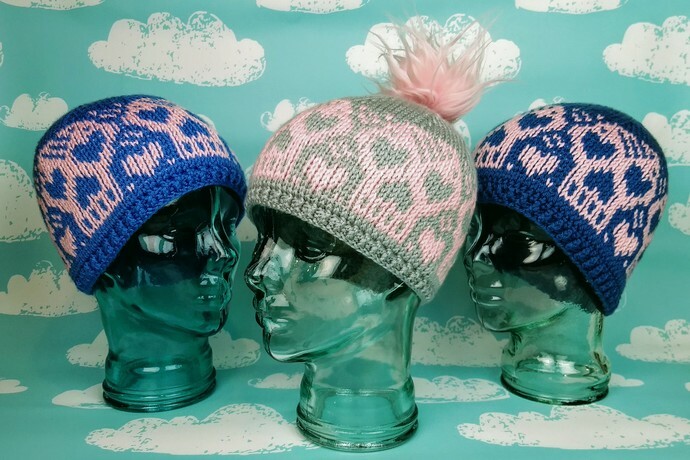 Handmade with love, The Heartskull Hat will keep your own skull nice and toasty. 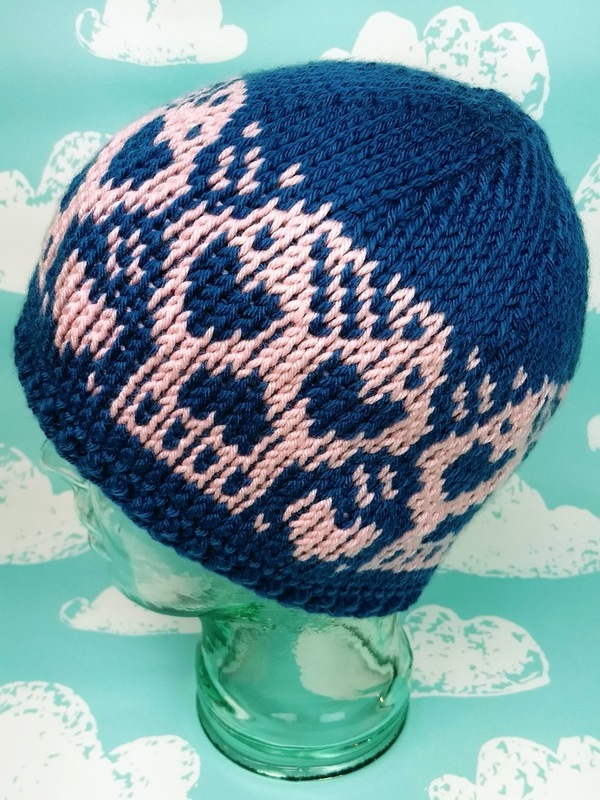 The double ended Tunisian crochet technique results in a thick, squishy fabric. 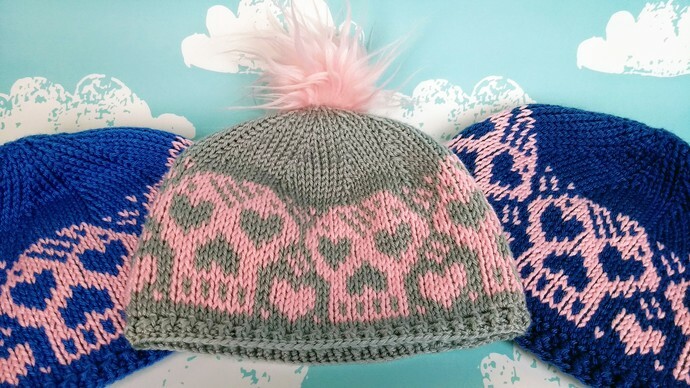 Wear it on Valentine's day for the hearts or wear it all year long for the skulls!